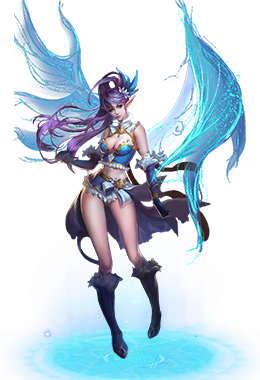 Precious Skins for Hot Queens! Buy Two Horcurx and Get One for Free! 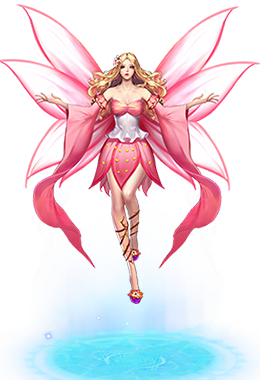 Example: A player who recharges 56000 Gold during the event will have two rounds of One Choice of Blessings. 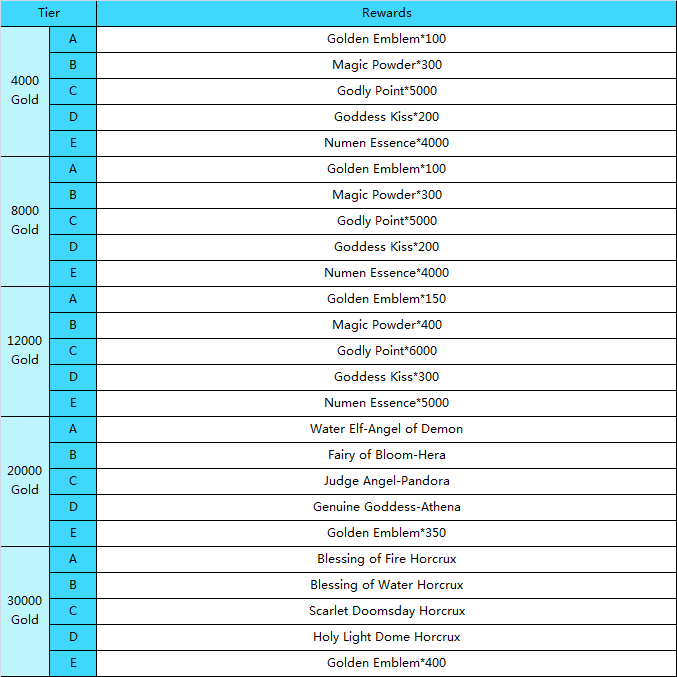 In the 1st round you can choose the reward from 1-50000 Gold grade. 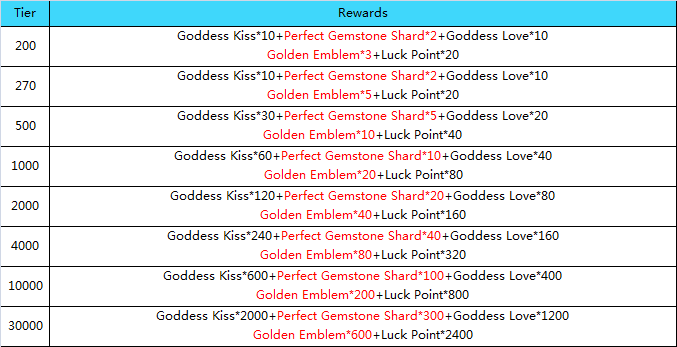 In the 2nd round you can still choose the reward from 1-5000 Gold grade. Tips: During the event, players can acquire Additional Horcrux by getting two required Horcrux! 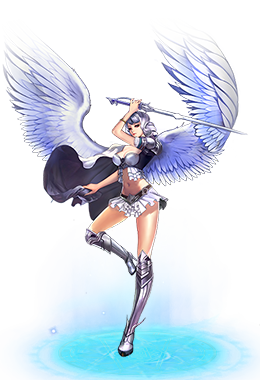 Players who get Blessing of Fire and Blessing of Water can obtain an Additional Horcrux-Signet of Dragon for free! Players who equip Signet of Dragon can have the status bonus of both itself and its subsequent Horcrux of Blessing of Fire and Blessing of Water! 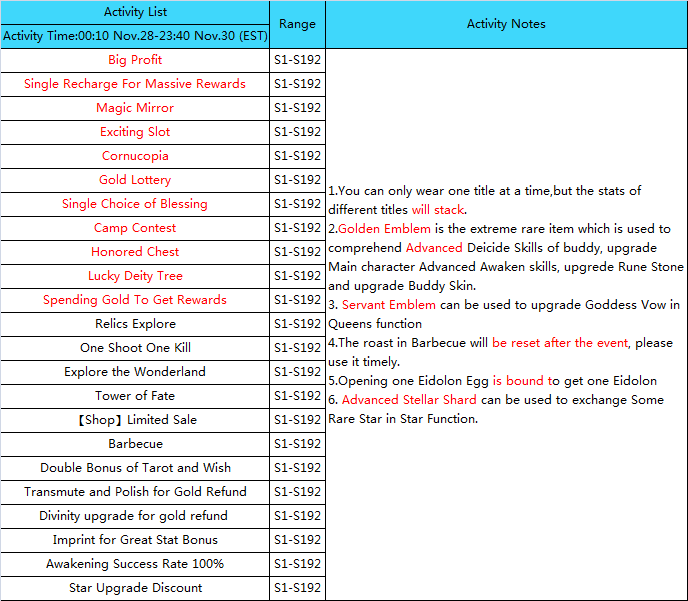 Players who get Scarlet Doomsday and Holy Light Dome can obtian an Additional Horcrux-Future Spirit for free! 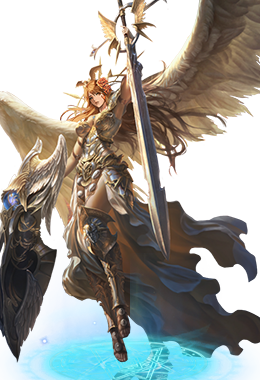 Players who equip Future Spirit can have the status bonus of both itself and its subsequent Horcrux of Scarlet Doomsday and Holy Light Dome! So what are waiting for? come and get the Combined Horcrux!!! During the event, My Heroes, you can click the to join. There are two kinds of Rewards: Personal Rewards and All Server Rewards. 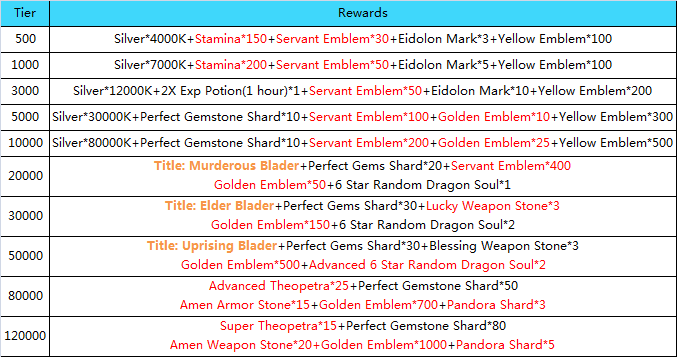 Players, who accumulated recharge reaches a certain tier, can claim the personal rewards. 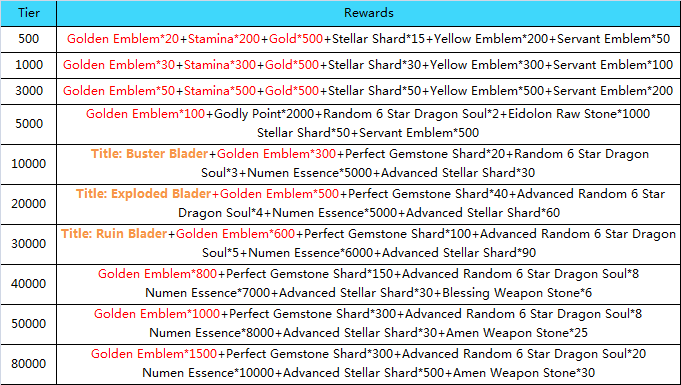 *The rewards will be sent through the Mail, please claim them in time. There are no limit times to collect rewards, the more you recharge, the more rewards you received. Rewards are sent according to the highest rank that players' single recharging reached, and other rank of rewards can't be claimed. 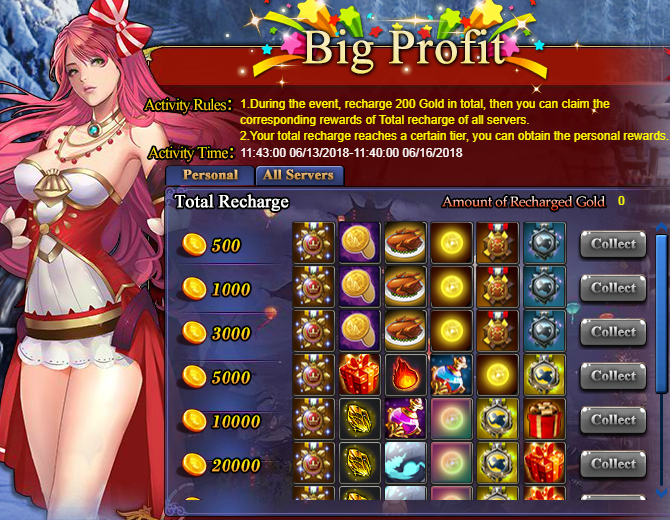 Previous>Recharge 20000 Gold For 30000 Gold Rebate ! Next>Come and Join the Icy Souvenir to get the awesome Cloud Drake Mount!